If there is one word that describes Vermont and its inhabitants, it is "independent". Vermonters have retained that independence by fighting off claims to their territory by neighboring states. The heroics of Ethan Allen and his Green Mountain Boys kept their neighbors at bay, and by 1777 Vermont had drawn up its own constitution as a free and independent state. Further asserting the independent thinking of the state, Vermont became the first state to outlaw slavery. The Georgia state legislature proclaimed that Vermont was so independent that "the whole state should be made into an island and towed out to sea." And even before the United States declared war on Germany, the Vermont legislature did so itself. The tradition of independence carries on to the present day, as Vermonters continue to jealously guard every person's right to be free thinkers. Amidst the beautiful scenery of Vermont's hills and valleys, individualism and independence remain strong. Vermont is an English form of the name that French explorer Samuel de Champlain gave to Vermont's Green Mountains on his 1647 map. He called them "Verd Mont" meaning green mountain. This well-known nickname for the state of Vermont is in reference to the Green Mountains named by Samuel de Champlain in 1647. Currently, this nickname is displayed on Vermont license plates as seen on the 1997 plate to the right. Earlier plates pleaded "See Vermont" or simply stated "Green Mountains." People who live in Vermont or who come from Vermont are called Vermonters. In a state known for its maple syrup, its maple sugar, and its excellent skiing, is it any wonder that these would be represented on the state quarter? Vermont chose to highlight these most important industries by depicting a man tending his sap buckets with Camel's Hump Mountain in the background. Camel's Hump, one of the highest mountains in the Green Mountain State, is so named because of its two "humps" reminiscent of the Bactrian Camel of Turkestan and Mongolia... a long way from Vermont! The design also offers the Vermont State Motto "Freedom and Unity" and the year Vermont entered the Union; 1791. Vermont was the first state admitted to the Union after the original 13 colonies. Vermont (From Sea to Shining Sea) , by Jan M. Czech. 80 pages. Publisher: Scholastic Library Publishing (September 2002) Reading level: Grades 3-5. Presents information about Vermont's people, geography, history, landmarks, natural resources, government, state capitol, towns and cities, and more. Vermont (World Almanac Library of the States) , by Michael E. Flocker. 48 pages. Gareth Stevens Publishing (August 2002) Reading level: Grades 4-6. Filled with the most up-to-date information, including the latest Census results. 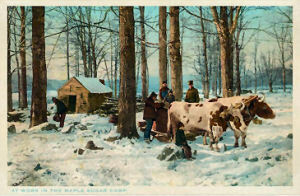 Full-color photos bring to life the story of Vermont. In addition to an in-depth factual profile of Vermont in the form of a state Almanac, this book offers fascinating and lively discussions of the state's history, people, geography, government, economy, culture, and lifestyles. A section on Notable People, a calendar of events, and enough primary source documents, time lines, maps, and other tools to make this unquestionably the best young adult reference material on the USA available anywhere. The Vermont Encyclopedia , edited by John J. Duffy, Samuel B. Hand & Ralph H. Orth. 352 pages. Publisher: University Press of New England (August 1, 2003) The Vermont Encyclopedia will provide Vermonters and other readers interested in or attracted to this place a one-volume collection of information on some of Vermont's most noteworthy people, places, events, natural features, organizations, artifacts, flora and fauna, and it will help them verify a name, date, or fact, enliven a discussion, strengthen an argument, write a report, proposal, or student paper, or just learn something interesting. The editors subscribe to the notion that knowing Vermont today is enhanced by knowing the who, why, and when of how it came to be as it is, so The Vermont Encyclopedia both looks back in time and attends to the present. It is an historical dictionary and a current report. Fast Lane on a Dirt Road: A Contemporary History of Vermont , by Joe Sherman. 256 pages. Publisher: Chelsea Green Publishing (July 23, 2008) Nestled between Montreal, Boston, and New York City exists a magic land called "Vermont." It's a state of the union, a state of mind, a state of grace, and a state of confusion and contradiction. Because of its beauty, its scale, and its depth of culture, Vermont is truly a perfect state. 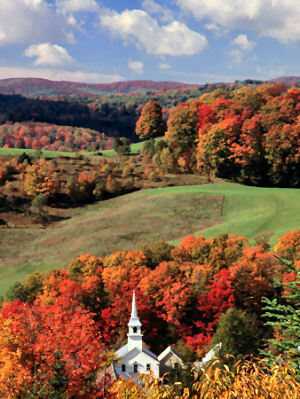 The image of Vermont that leaps off the pages of Vermont Life is one of rolling hills, small villages, white churches with soaring steeples, town meetings, and blazing foliage. But there is another side of "A Perfect State," a complex composite of dirt roads turned to Mud Season quagmires, sharply divided citizens who cannot find common ground on critical issues such as school financing, gay marriage, environmental protection, and development. Vermont Life , Vermont Life magazine celebrates the people, lifestyle, heritage and unequaled beauty of the state which defines New England. Its color photography and award-winning stories delight both residents and visitors alike. It is the winner of many national awards and widely read and accepted by Vermonters. Vermont Magazine , Vermont Magazine delivers a blend of historic, traditional and contemporary Vermont in extraordinary words and exceptional photographs, with a new issue published every two months and an annual special issue, Weddings, that has become a definitive planning guide.